Beth's condition caused her to have 100 seizures a day. Miraculously, the only time she wouldn't seize was while watching Mr. Rogers' Neighborhood. MARTHA’S VINEYARD, MA -- As cooler temperatures mark the descent of fall upon Martha’s Vineyard, Beth Usher tries to soak in the final moments of summer. She spends her days relaxing on the porch of her family’s home, surrounded by friends. Friends like Lady Elaine Fairchild, King Friday XIII, Queen Sara Saturday and Daniel Striped Tiger. Sound familiar? They’re the puppets Mister Rogers brought to life in his neighborhood of make-believe. While the puppets are friends to millions, to 39-year-old Beth, they’re especially precious. Since childhood, they’ve always been there for her, in both sickness and in health. Over 30 years ago, Beth was at school during her first week of kindergarten when her mother, Kathy, received a call from the principal. Beth had a seizure. Kathy rushed her daughter to the hospital. After ample testing, doctors couldn’t find the problem and sent Beth home. 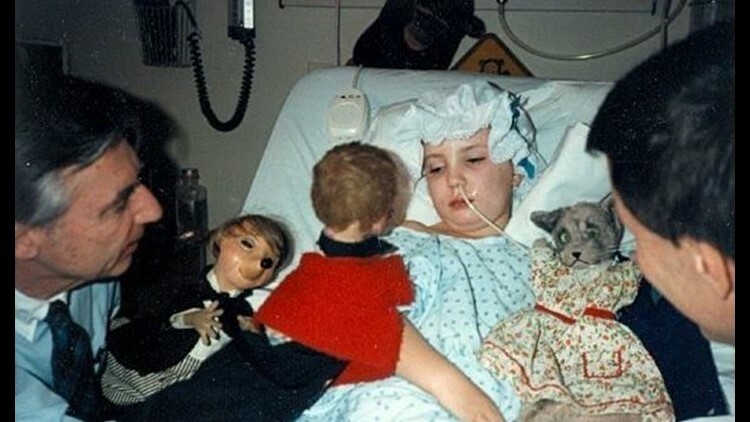 A few days later, Beth had another seizure. Then another. And another. “Within a short period of time, we realized that the left hemisphere [of Beth’s brain] was slowly shrinking. [The doctors] had no idea what was going on,” said Kathy. Beth began losing function in the right side of her body. She could no longer go to school, eat without assistance or simply be alone. While distraught, their family was determined to find answers – despite the doctors’ inability to give any. Kathy and Beth’s father, Brian, spent much of their time taking Beth from doctor to doctor, but no one could figure out what was going on. “What was scary for all of us was that with each day, her brain cells were dying, and the longer we waited… what was going to be left? We were petrified,” said Kathy. As the Usher family’s terror worsened, so did Beth’s seizures. Eventually, she had around 100 seizures a day. “It was like being on a rollercoaster, and you can’t get off,” recalled Beth. In the non-stop rollercoaster of seizing, there was a moment of relief in the form of Fred Rogers. Miraculously, during the 30 minutes when Mister Rogers’ Neighborhood aired, Beth never had a seizure. “I found his voice comforting. I felt like he was talking to me and nobody else,” said Beth. Besides her brother, friends for Beth were few and far between due to her condition. Mr. Rogers not only provided alleviation, he also provided friendship. Beth would talk to the screen, saying she loved him at the end of each episode. Mr. Rogers quickly became a staple in the Usher’s home as they continued their frantic research. After what felt like an eternity, they finally got an answer. “One doctor finally said there’s this one-in-ten-million brain disease, it’s extremely rare, there’s no cure for it,” said Kathy. It was Rasmussen’s encephalitis, a rare inflammatory neurological disease that only affects one hemisphere of the brain. While there’s still no known cure, Doctor Ben Carson performed successful surgeries on a few patients in the late 80s. In the surgery, doctors would remove half of the patient’s brain that was affected by the disease. After much contemplation, Beth’s parents decided the surgery, which would remove Beth’s brain’s left hemisphere, was the only way for their daughter to get any relief. But they were terrified. So, Kathy decided to contact the man who had provided her family some relief and happiness during the difficult time. 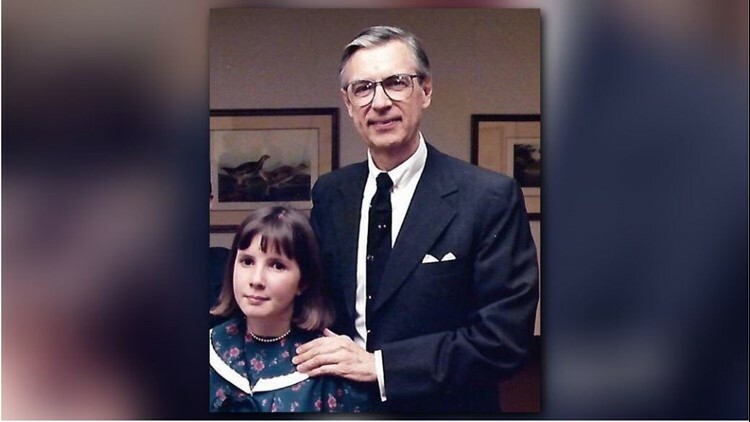 She called the Mister Rogers Neighborhood studio and spoke with the secretary, explaining the situation and asking if she could get a signed copy of Mr. Rogers’ picture for Beth. Less than an hour later, the secretary called back with a special message. Beth was over the moon. Kathy and Brian left their daughter in the kitchen, and hovered closely in the hallway, crying as they listened to the conversation. Beth spent over an hour on the phone with Mr. Rogers. But Beth didn’t just speak to Mr. Rogers. She also spoke with King Friday, Queen Sara and Lady Elaine, all the friends Mr. Rogers voiced on his show. Daniel Striped Tiger ended the conversation, telling Beth that he loved her, and everything was going to be okay. Before heading to the hospital for the surgery, a giant box of cassette tapes and Mr. Rogers Neighborhood memorabilia arrived for Beth. The tapes calmed Beth as they made their way to the hospital. 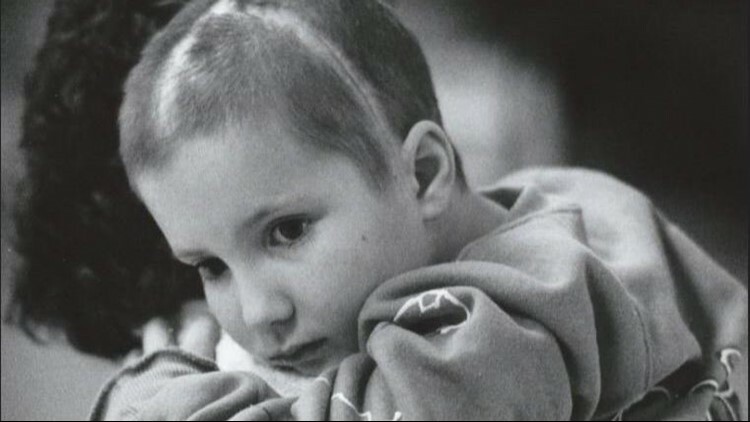 On February 4, 1987, Beth underwent a 12-hour procedure to remove the left hemisphere of her brain. Initially after surgery, she was fine. But things took an unexpected turn, and she slipped into a coma. As days turned into weeks and weeks turned into months, concern grew – even with Beth’s newest and dearest friend. Rogers' only request was that the visit be between him and Beth. No press. So, he flew from Pittsburgh to Baltimore. A friend picked him up from the airport and drove him to John Hopkins Hospital where he sat beside Beth in her comatose state. Beth’s family and nurses stood in the doorway watching as Rogers removed his puppets from his case. “He gave Beth her own private show,” said Kathy. He also left all his puppets for Beth so she wouldn’t be alone when she awoke. Shortly after Mr. Rogers visit, Beth did wake, surrounded by friends. When Mr. Rogers called that day, Kathy told him the good news. Mr. Rogers and Beth’s friendship continued through the years. They were pen pals, and Mr. Rogers always called Beth on her birthday. When Beth’s grandparents passed away, Mr. Rogers listened to her mourn over the phone. Mr. Rogers even asked Beth to help write his commencement address for the University of Connecticut. The world grieved the loss of Mr. Rogers when he passed away in 2003. The loss was especially painful to the Ushers. They lost a friend. Their family continues to honor him and the lessons he taught them and the world. “We definitely desperately need more people like him. So many times, we will say, ‘What would Fred do?’” said Kathy. The answer is simple: just be kind. “Everybody is worthy and lovable just the way they are,” said Beth.